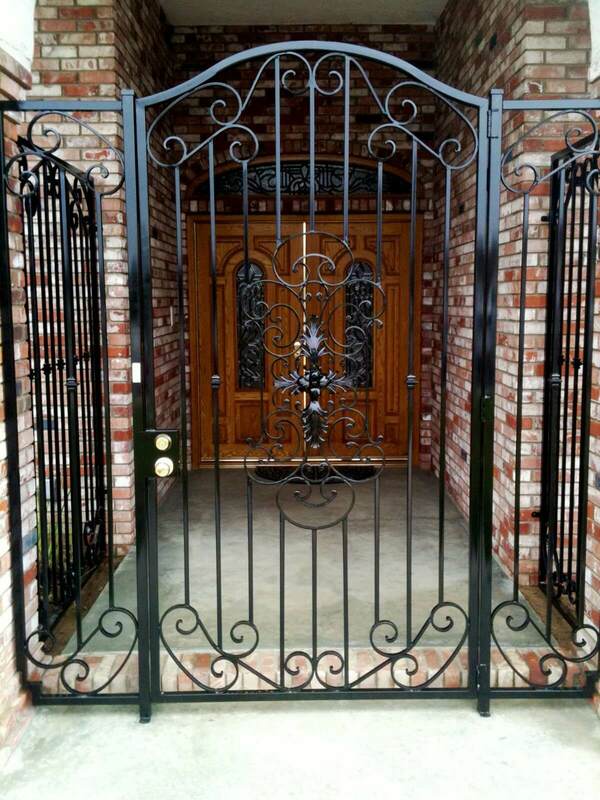 Not only is wrought iron beautiful and resilient, it’s also a top choice for security because of its durability and strength. 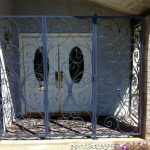 Trespassers, burglars and other ne’er-do-wells will have a hard time circumventing the security that wrought iron provides. 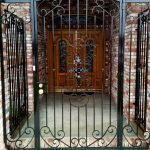 Jaguar Wrought Iron is here to fabricate installations and fixtures to help keep your home or business safe and secure at all times. 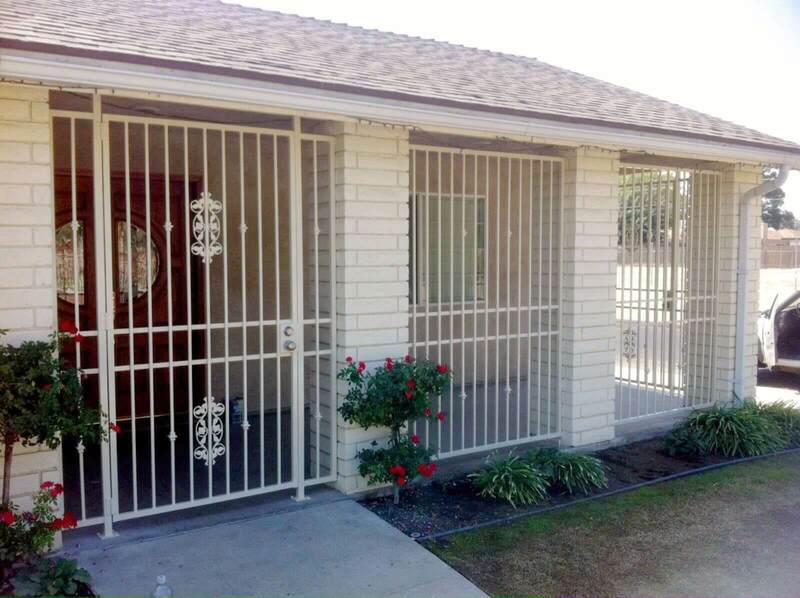 Among our specialties are gates, doors and window guards in Bakersfield, CA. Our master craftsmen work hard to not only make these items strong and impenetrable, but also beautiful and alluring when they’re installed. 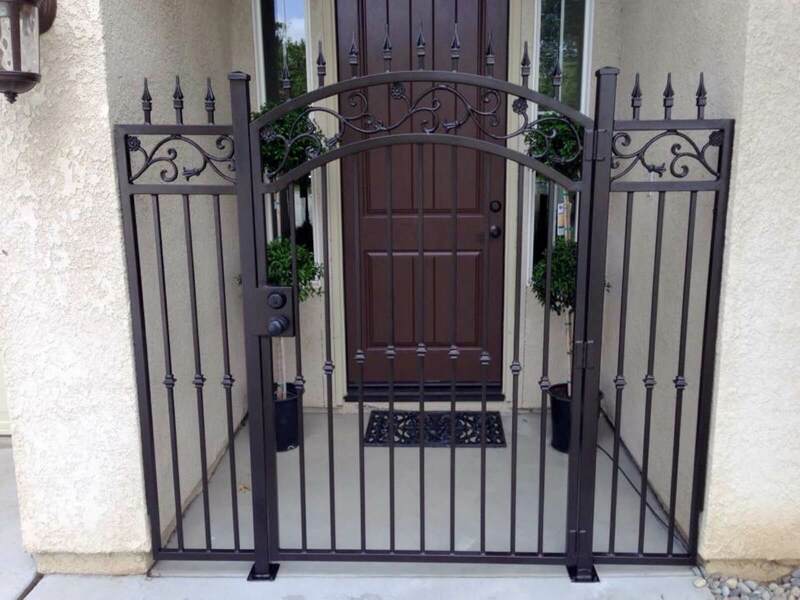 This gives you the best of both worlds when it comes to enjoying a security feature that’s also a fixture in style. 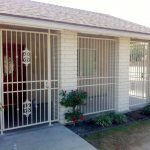 Like gates and fences, security doors in Bakersfield, CA are an ideal way to restrict access to your home or business. 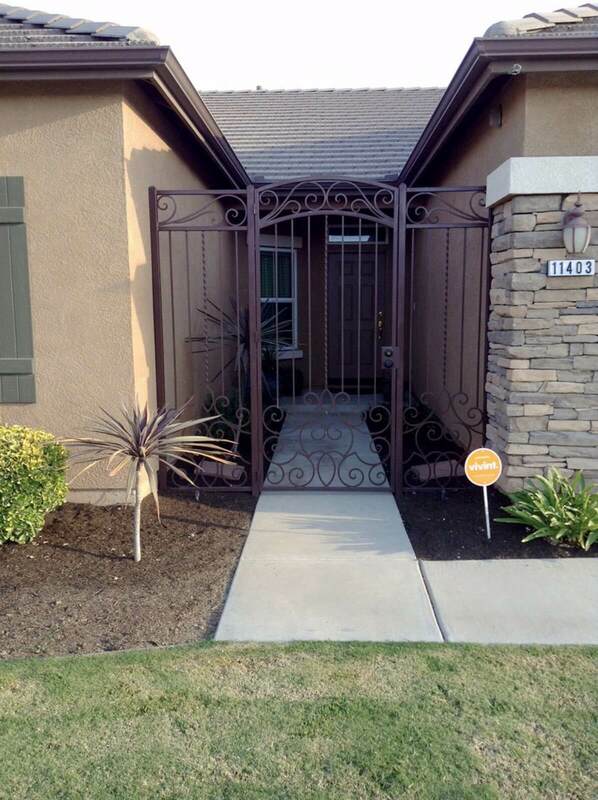 They’re installed right in your doorway, presenting a substantial obstacle for anyone trying to get to the door itself. 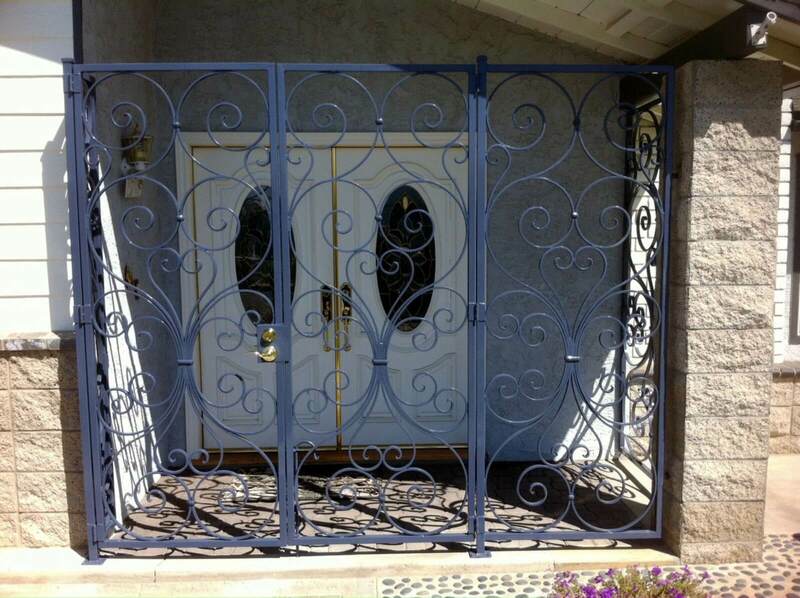 And, while a wrought iron security door may be heavy and durable, it can also be a beautiful access to your entryway. 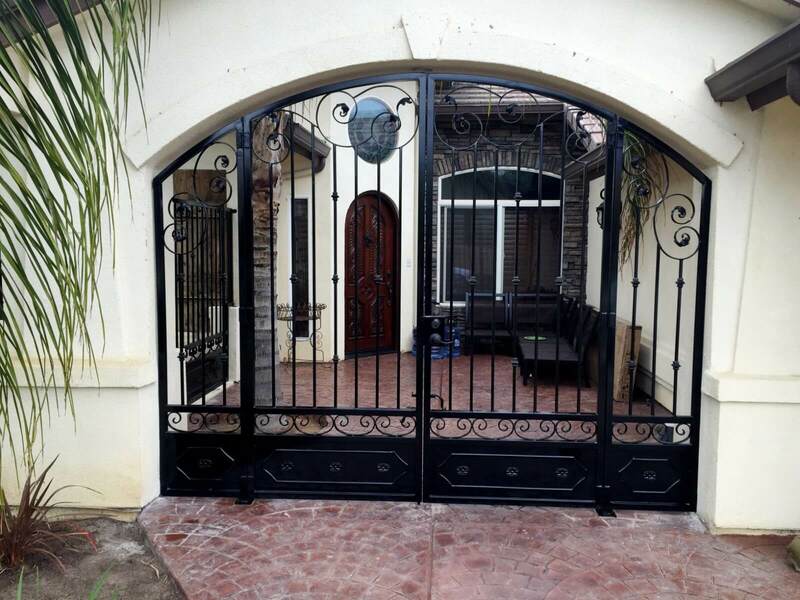 We design security doors for homes and businesses alike. 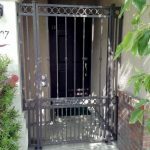 Our fabricators will consult with you at length about your needs for security doors—including what design or level of security you might need. We’ll also make sure it’s designed to perfection and installed seamlessly, to give you peace of mind all around. 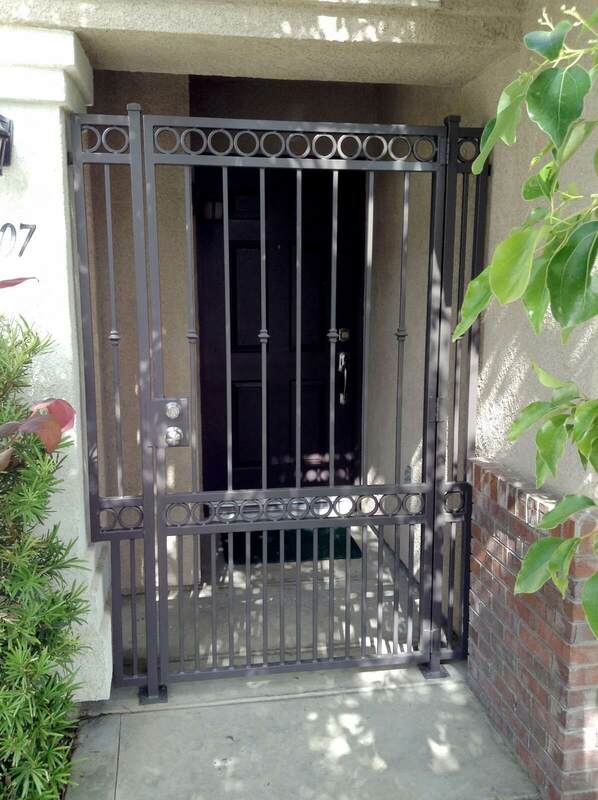 In addition to security doors, we also fabricate window bars. 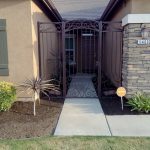 These fixtures can prevent window damage, as well as unwanted intrusion. 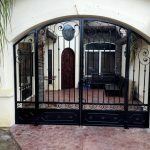 Moreover, they come in a myriad of styles and designs, giving you ample opportunity to adorn your home or business with an eye-catching addition that’s also functionally safe. 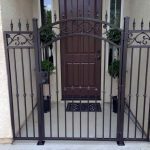 For more information about our wrought iron security installations or to consult with one of our professionals about your need for these products, please contact us today by calling 661-323-5015.